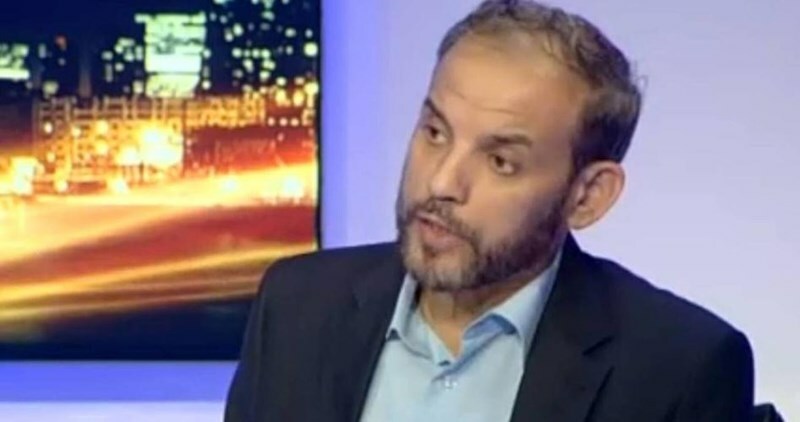 Hamas spokesman Husam Badran has accused the Palestinian Authority (PA) of escalating its security coordination with the Israeli occupation and pursuing a revolving door policy in this regard. In press remarks on Friday, Badran said that the Israeli occupation forces (IOF) arrested recently two university students from the Islamic bloc shortly after their release from PA jails. The Hamas spokesman underlined that the PA's persistence in its security coordination with Israel caused a lot of suffering to the Palestinian people, who aspire to freedom. He urged all Palestinian factions to adopt a unified position against the PA's security collaboration with Israel and develop a joint formula for the protection of the resistance and its achievements in the West Bank. Israel has arrested dozens of Palestinians after their release from PA jails since the Jerusalem intifada started in early October last year. Netanyahu: Our military presence in Area A "sacred"
Israeli premier Benjamin Netanyahu has said that his government will never end its military activities and campaigns in "Area A" of the West Bank, which is, according to Oslo accords, under the Palestinian Authority's civil and security control. According to Haaretz newspaper, Netanyahu described Israel's freedom to carry out operations in the Palestinian West Bank areas "sacrosanct," stressing that Israel would not allow the situation that had existed before 2000 to repeat itself. For his part, Israeli minister of education Naftali Bennett, head of the right-wing Jewish Home party, threatened to dismantle the coalition government if steps were taken to shrink the Israeli army's operations in Area A.
Haaretz newspaper said that Bennett made such threat after the Israeli security cabinet last Wednesday explored in a meeting attended by PA officials the avenues to reduce Israel's military operations in Palestinian areas. Paul Garnier, ambassador of Switzerland to the Palestinian Authority, arrived Wednesday morning to Gaza Strip via the Israeli-controlled Beit Hanoun (Erez) crossing. The border and Crossing Authority affirmed to Quds Press Garnier’s arrival to Gaza along with his assistants. No further information was declared about his visit’s agenda or duration. Last year, Paul Garnier visited Gaza Strip to help resolve the crisis over the salaries of Gaza unpaid employees who were appointed after 2006 elections. Israel’s premier Benjamin Netanyahu accused at that time Garnier of allegedly transferring money via Beit Hanoun crossing to fund the unpaid salaries. The Gaza government employee salary crisis is having a severe negative impact on achieving the national reconciliation agreement. Nearly 42,000 employees, hired in the Gaza Strip between 2007 and 2014, suffer challenging living conditions as the consensus government has been withholding their salaries since it took office in June 2014. Varkey foundation that awarded the Palestinian schoolteacher Hanan al-Hroub a $1 million prize for her outstanding teaching methods refused an Israeli demand to cancel its prize to Hroub after allegations that the woman's husband participated in an attack that killed at least six Israelis three decades ago. Israeli occupation authorities attempted to pressure the foundation via its campaign by emphasizing that her husband, Omar, served time in Israeli prison, convicted as an accomplice in a bombing attack that killed six Israelis as they were walking home from sabbath prayers in the West Bank city of al-Khalil in 1980. According to an Associated Press account at the time, Omar al-Hroub was a chemist who provided chemicals needed for making the bombs. 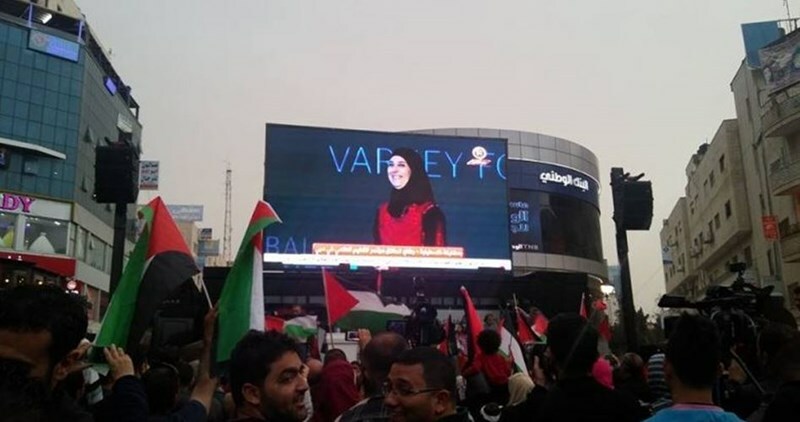 In a statement, the Varkey Foundation refused the Israeli demand and said it does not look into the conduct of candidates' relatives and that the teacher was committed to nonviolence. The Popular Front for the Liberation of Palestine (PFLP) has condemned recent remarks made by president Mahmoud Abbas against the Palestinian people's intifada (uprising) and resistance, describing him as a person who lost his compass. In a press release on Sunday, the PFLP said that Abbas conferred legitimacy on the Israeli crimes committed on a daily basis against the Palestinians on the streets of the West Bank and Jerusalem In remarks to an Israeli channel, Abbas admitted that his security forces had frustrated a wave of attacks planned by young men against Israeli targets and labeled his people's resistance of the occupation as terrorism. 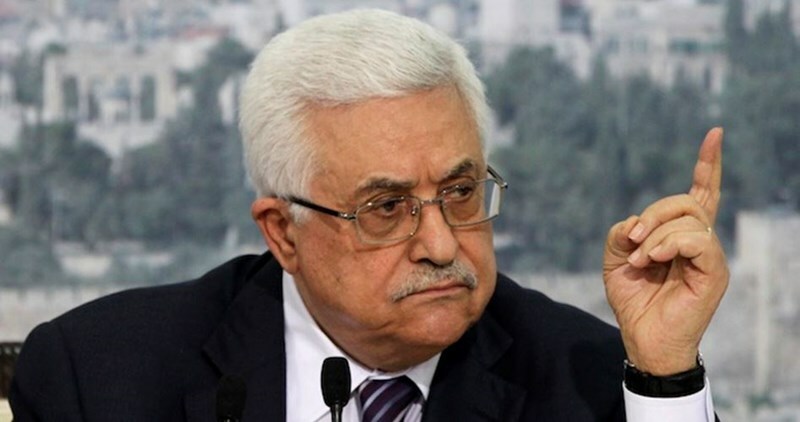 Senior PFLP official Badran Jaber told Quds Press that Abbas's remarks in this regard reflected his love and admiration for the executioner and his flagrant disregard for the higher national interests and the nature of the conflict with the occupation. Palestinian president tells Channel 2 that PA security forces 'go into the schools to search pupils' bags and see if they have knives,' saying one school had 70 boys and girls who were carrying knives. Palestinian President Mahmoud Abbas said on Thursday he was working to stop Palestinian knife attacks and other street violence against Israel and had offered to meet Prime Minister Benjamin Netanyahu to rekindle peace efforts. The remarks appeared to be an effort by the Western-backed Abbas to turn the tables on Israel, which has cast him as responsible for the diplomatic deadlock and the surge of bloodshed. Speaking to Channel 2, Abbas gave rare details on his domestic security drives, a touchy matter as many Palestinians deem such moves collaboration with their enemy. "Our security forces go into the schools to search pupils' bags and see if they have knives. You don't know this," he said. "In one school, we found 70 boys and girls who were carrying knives. We took the knives and spoke to them and said: 'This is a mistake. We do not want you to kill and be killed. We want you to live, and for the other side to live as well.'" Abbas's administration and Israel coordinate security in the West Bank despite the stalling two years ago of US-sponsored negotiations on Palestinian statehood. Netanyahu says he is open to renewing talks and that Abbas has been avoiding these while inciting violence with his rhetoric against Israel. But Abbas told Channel 2 that the onus was on Netanyahu. "I will meet with him, at any time. And I suggested, by the way, for him to meet," the Palestinian leader said in English. Asked what became of that overture, Abbas said: "No, no—it's a secret. He can tell you about it." Netanyahu's office had no immediate response. Abbas' Palestinian Authority exercises limited self-rule in the West Bank under 1993 interim peace deals. Israeli forces now freely operate in PA areas, something Abbas described as sapping his credibility at home. He said he was willing to take action against Palestinians that Israeli intelligence deems a threat. "If he (Netanyahu) gives me responsibility and tells me that he believes in (the) two-state solution and we sit around the table to talk about (the) two-state solution, this will give my people hope, and nobody dares to go and stab or shoot or do anything here or there," Abbas said. 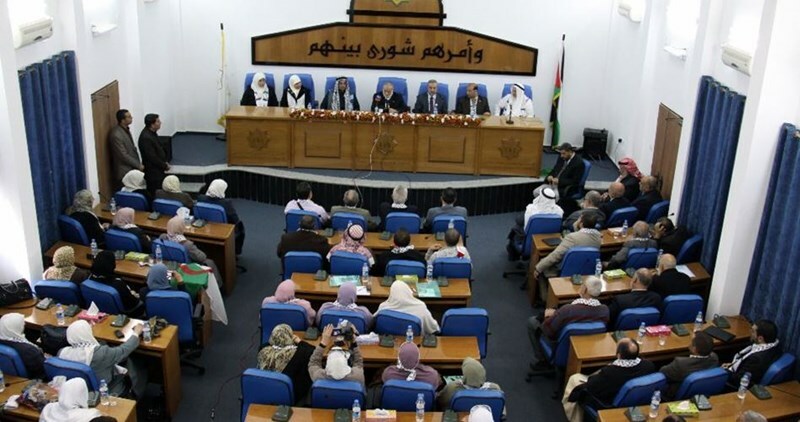 The Change and Reform bloc of the Palestinian Legislative Council (PLC) announced on Wednesday its intention to hold an international parliament forum on April 10 with the participation of MPs of Arab, Islamic and other countries. In a statement, the Change and Reform bloc said that the forum aims at enhancing the steadfastness of the Palestinian people and affirming their historic right in Palestine. MP Mushir al-Masri said, on behalf of the bloc, that the forum aims as well to shed light on the Palestinian Question in light of the ongoing crises and conflicts in other countries in the region. 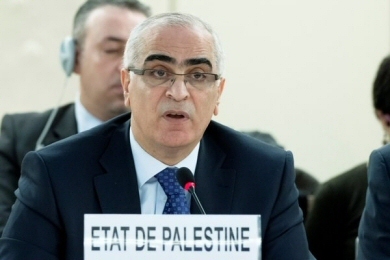 Forming a supportive international public opinion of the Palestinian Question especially at the level of parliaments is a key objective of holding the forum, MP Masri added. Armed clashes broke out Tuesday between Palestinian youths and Palestinian Authority security forces whenthey raided the Old City of Nablus, leaving 13 wounded. 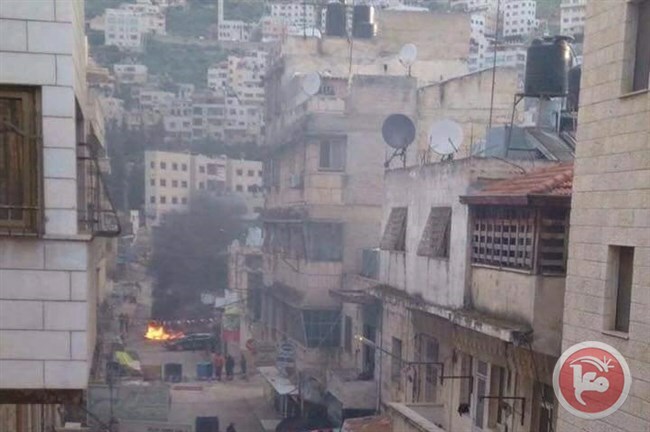 Nablus governor Akram Rujoub told Ma'an that PA security forces were attempting to detain a suspect in a recent murder cases when clashes erupted with armed men in and around the Old City. Seven Palestinian youths and five members of the PA security forces were reportedly injured during the clashes, most in moderate condition. 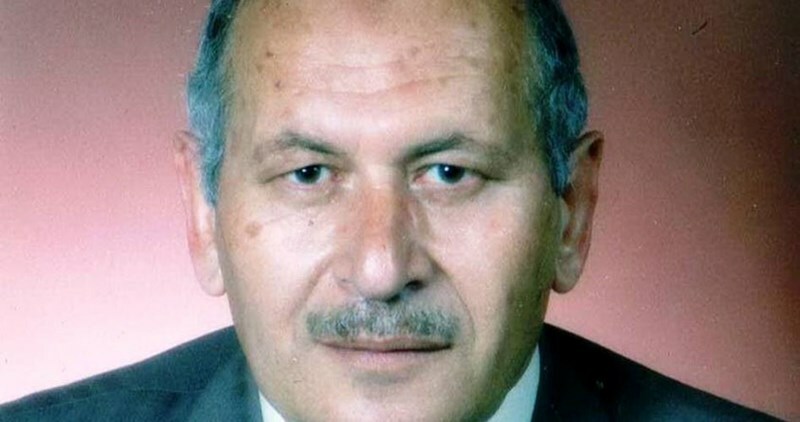 Rajoub identified the fugitive suspect as Hani Halaweh, who PA security forces believe may have been involved in the murder of Ashraf al-Beia two months ago. Hani Halaweh, a leader in Fatah's military wing, Al-Aqsa Martyrs' Brigades, slammed the PA for the carrying out the raid. "What happened today was a raid on houses of martyrs, prisoners, and resistance fighters in the Old City, which we will not allow," Halaweh said. "We look to the Palestinian Authority as a Palestinian national project that must be protected and defended, but there are people in the PA who still chase resistance fighters when they should be chasing spies and drug dealers," Halaweh added. Halaweh called on President Mahmoud Abbas to immediately intervene. Tuesday's gunfight comes following heightened frustrations with the PA among the Palestinian public over its relative inaction since a wave of unrest swept the occupied Palestinian territory last October. Most recently, Palestinians expressed outrage against the PA last month after it attempted to use its security forces to quash a teachers' strike across the West Bank. A six-month-old Palestinian infant was critically wounded after being stabbed by a youth who entered a nursery in Beituniya in western Ramallah on Tuesday. Palestinian police spokesman, Luay Irzeiqat, told Ma'an that a youth entered an unlicensed nursery where 11 infants were held, assaulted a baby girl with a sharp object, critically injuring her. 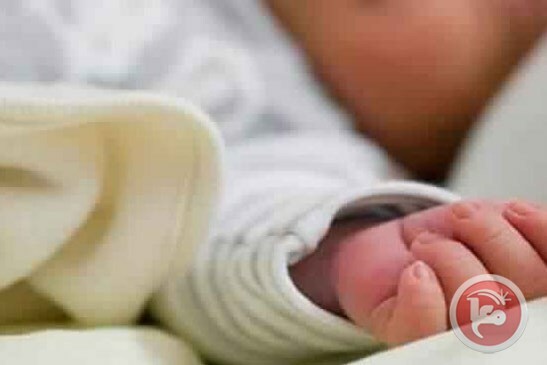 The baby was transferred to a hospital for medical treatment while the police detained the suspect for interrogation. The Palestinian Ministry of Health said medical teams at the Palestine Medical Center succeeded in saving the life of the infant, who was injured with a deep wound from ear to ear. The infant was in stable condition, the ministry added. The Israeli Prime Minister, Binyamin Netanyahu, issued a statement on Thursday criticizing the United Nations Human Rights Council, calling it an “anti-Israel circus”. The statement followed the passage of a measure calling for a listing of companies invested in Israeli settlements in the West Bank. These settlements are considered illegal under international law and the Fourth Geneva Convention, which prohibits occupying powers from transferring civilians into territory occupied by the military. The Israeli Prime Minister criticized the Council's measure for “singling out Israel”, and claimed that the UN body failed to issue similar condemnations against human rights abuses in Iran, Syria and North Korea. But the UN Human Rights Council has in fact issued multiple condemnations against all three of those countries, as well as dozens of others, in the ten years since its creation, for a litany of human rights violations. 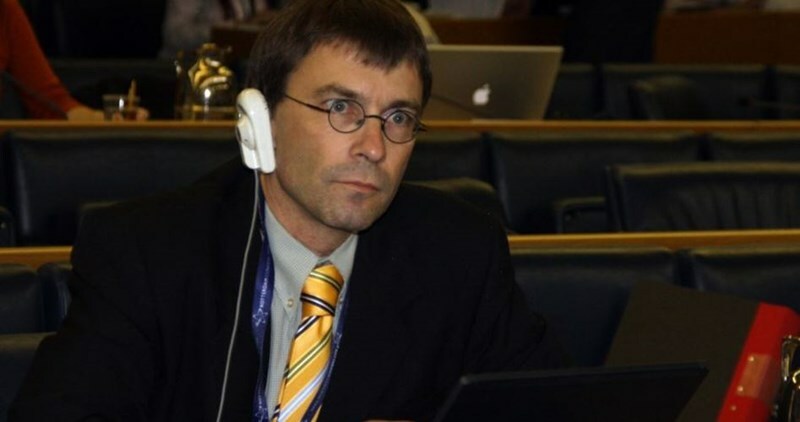 The Israeli Ambassador to the UN, Danny Danon, accused the Council of acting “obsessively” and compared it to Europe in the lead-up to the Holocaust. 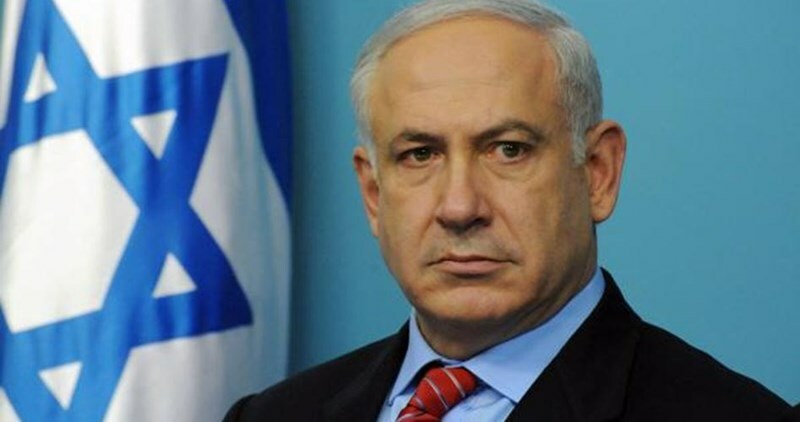 Netanyahu called on nations around the world to disregard the measure by the UN Council. The measure passed by the Council on Thursday called for the creation of a list of businesses based in illegal Israeli settlements in the West Bank. During its session on Thursday, the UN Human Rights Council also appointed a replacement for special rapporteur Makarim Wibisono, who resigned in January saying that Israeli officials refused to cooperate with him. Special Rapporteur to the occupied Palestinian territory Makarim Wibisono. In a landmark victory for Palestinian leadership, the UN Human Rights Council, Thursday, passed four resolutions pertaining to the occupied Palestinian territories, one of which will draw up a “blacklist” of companies who do business in illegal Israeli settlements. The PLO Negotiations Affairs Department said in addition to the resolution regarding settlements -- which passed 32 to 0 -- a resolution was adopted for the inalienable right of the Palestinian people to self determination. A resolution based on Palestinian human rights passed by the council addressed closures by the Israeli military in areas under occupation, as well as home demolitions, violations of religious sites, and extrajudicial killings carried out by Israeli forces. Another resolution drafted to enact proper investigative systems to ensure accountability for violations carried out by Israel in occupied Palestinian territory was also passed by the council. The resolution proposed by Palestinian leadership obliging the UN Human Rights Council to form a database of all actors conducting business, in areas under Israeli military occupation, received major push back from US and the EU, prior to Thursday’s vote, according to reports by The Guardian. The Western leaders reportedly warned that pushing the resolution could come at the detriment to aid given to the Palestinian Authority. The resolution echoes a recent EU decision to label products made in illegal Israeli settlements, a victory for the BDS movement which attempts to use boycott, divestment, and sanctions against Israel to end the decades-long military occupation. Palestinian Envoy to the UN Human Rights Council Ibrahim Khreisheh called Thursday’s vote a “message of hope” for the Palestinian people. “As the belligerent occupying power, Israel continues to systematically violate the inalienable rights of the Palestinians while enjoying impunity from the international community, despite numerous UN resolutions demanding an equitable and just end to the occupation,” Khreisheh said. Addressing the UN Human Rights Council in Geneva on Monday Special Rapporteur to the occupied Palestinian territory Makarim Wibisono gave a particularly scathing report of Israeli violations during his term. Wibisono said that since he took up his post, in June of 2014, Israel had not allowed him direct access to victims in parts of the occupied Palestinian territory, despite repeated requests. "I have been struck by the abundance of information documenting violations of international human rights and humanitarian law, and the seeming inability of the international community to match what is known of the situation with more effective protection of Palestinians.” Wibisono said. Palestinian leadership has, in recent years, made moves on the international level in effort to end harmful policies that result from the Israeli military occupation, after decades of failed peace negotiations to bring about an independent Palestinian state. A former Palestinian ambassador has accused Palestinian Authority (PA) president Mahmoud Abbas of helping Israel bring 19 Yemenite Jews to Palestine in a recent secret operation, and described his behavior as a "serious violation of the national norms." "Your contribution to the immigration of more invaders to promote the usurpation of our homeland instead of adhering to the principles under which you have become a member of the Fatah Movement is deemed a serious violation against our people and an action that flouts the national, religious and moral taboos," ambassador Khairuddin Abdul-Rahman said on his Facebook page, addressing president Abbas. Different Israeli news reports stated last Monday that Israel had brought over to Occupied Palestine, in cooperation with the US department of state and an undisclosed third party, 19 Jews from war-torn Yemen in a secret mission.